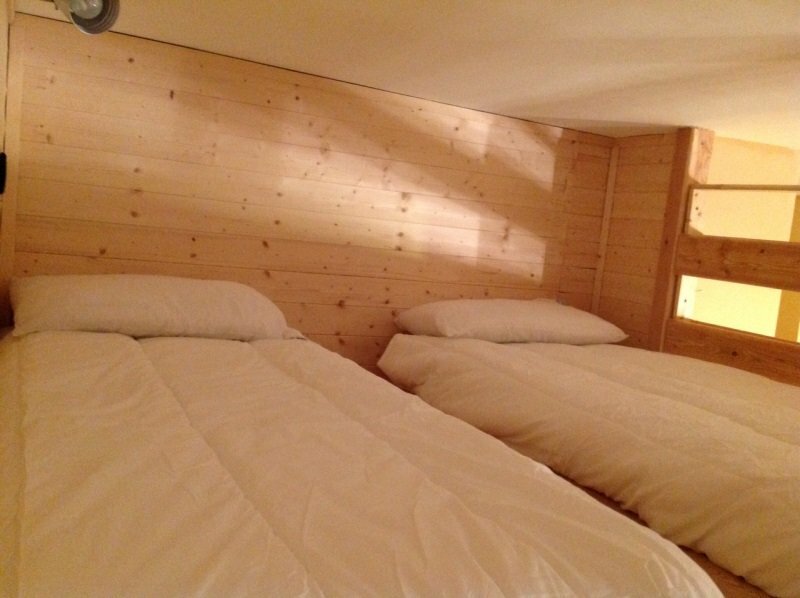 This apartment is located at 7th floor, Condominium “La Grand’Ourse” in Cervinia (Cielo Alto locality), the same building of the others apartments. It’s about 40 sq.m. with a private balcony. 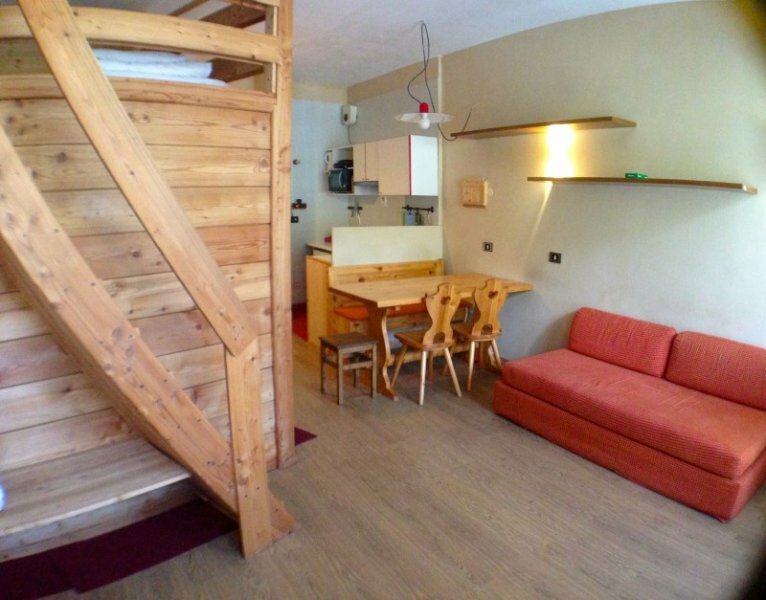 Like the others, this apartment has a parquet floor and wooden walls.The living area offers a sofa bed and a tv led 24″. Aside there is the open plan kitchen with all the necessaries.The mezzanine is built in wood and it’s composed by 2 parts. The lower part is closed by a sliding doors with a double bed inside. 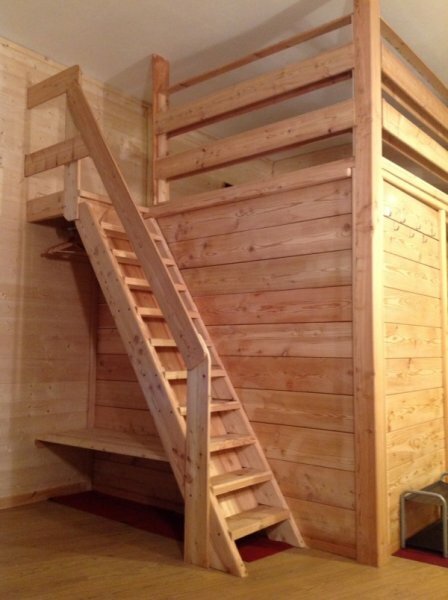 The higher part is a open sleeping platform with 2 places but because of the low height it’s good right to sleep (you can’t stay straight on).The heating system is controlled by a thermostat inside the apartment so it’s possible to set the temperature while hot water is provided by the electric boiler situated in the bathroom. Internet wireless connection is free. The signal is good, but it depends on the weather. Check the calendar for the availability. Usually check-in after 15:30 while check-out within 11:00. If you have different needs, you could write us inside the details section. останавливались в конце марта 2014 года, очень удобно ,что можно кататься на лыжах от двери отеля и возвращаться к отелю на лыжах. парковка на прилегающей территории бесплатная. соседей ни кого не было слышно, постельное белье можно привезти с собой. номер достаточно функциональный, с балконом. 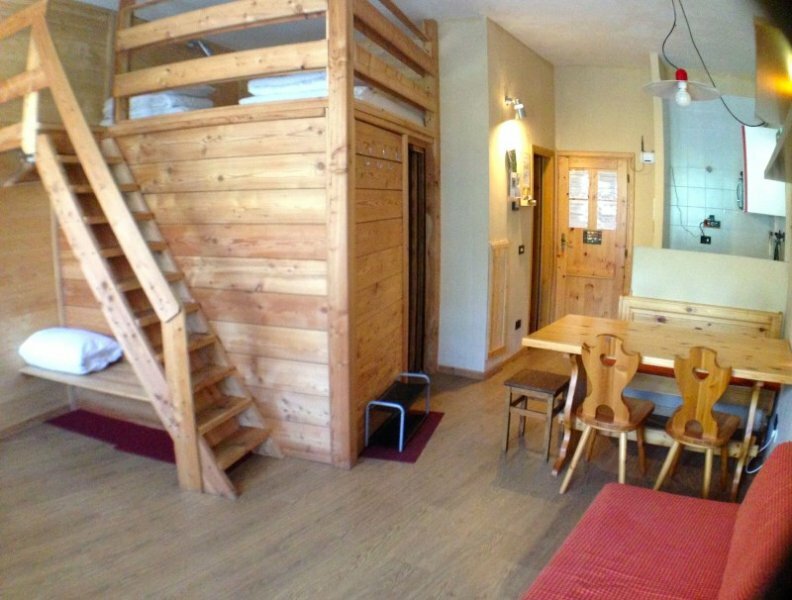 Nice apartment, comfortable for 4 people to stay, especially if you come with children, even for a long period. Good Internet connection. The kitchen is equipped with all necessary domestic appliances (microwave oven, electric kettle, toaster), that allows to cook at home. There’s a minimarket not very far from the condominium. 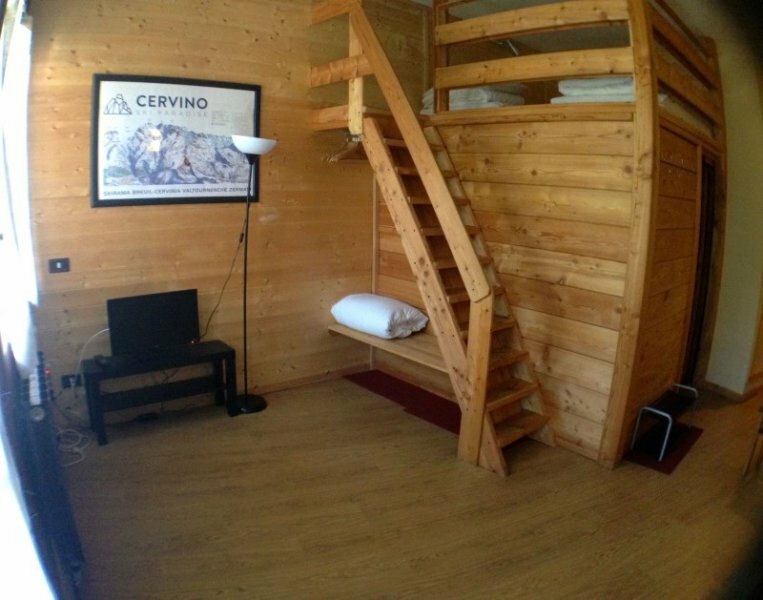 Easy access to the center of Cervinia per bus or on foot. Highly recommended. 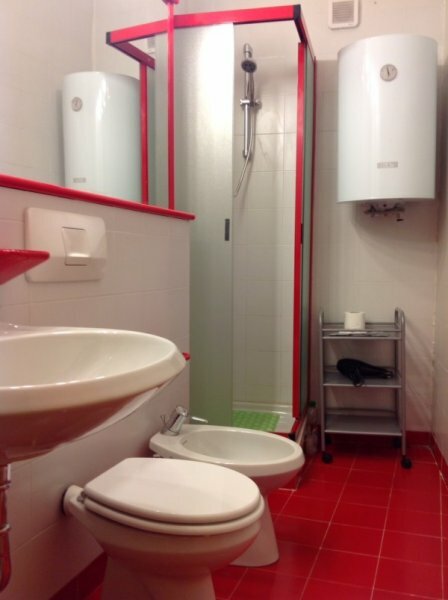 Appartamento dotato di tutto il necessario molto ben tenuto dal proprietario sempre disponibile per ogni evenienza. Si trova in posizione che consente un accesso immediato alle piste e comunque a pochissimi minuti dagli impianti, nonché dal centro di Cervinia, per chi volesse usare l’auto. Ottima la convenzione per il noleggio attrezzatura con il vicino Valle Ski Service che effettua anche servizio biglietteria skipass. Consigliato. Вполне приличные апартаменты по итальянским меркам, главное теплые и батарей достаточно – есть где просушиться. При достаточном количестве снега можно добираться до трассы и с трассы на лыжах. В принципе может проехать и начинающий лыжник. Маленький магазинчик примерно в 300 метрах. До города можно дойти пешком вниз минут 15-20, ну вверх, естественно, побольше. Ходит автобус за 1 евро, примерно 1 раз в час. С утра до основного подъемника лучше на нем, назад проще с трассы, потому что в момент закрытия подъемников на новогодние каникулы автобус битком, лучше тогда ехать позже.